Build individual sponsor packages based on user feedback or business insight. Package exactly what you know will sell, mark it up, and set it. Maximize revenue per order by packaging sponsorship opportunities together and offering as one. Set Up a package where a sponsor can get a banner at a discounted price when they buy a listing. 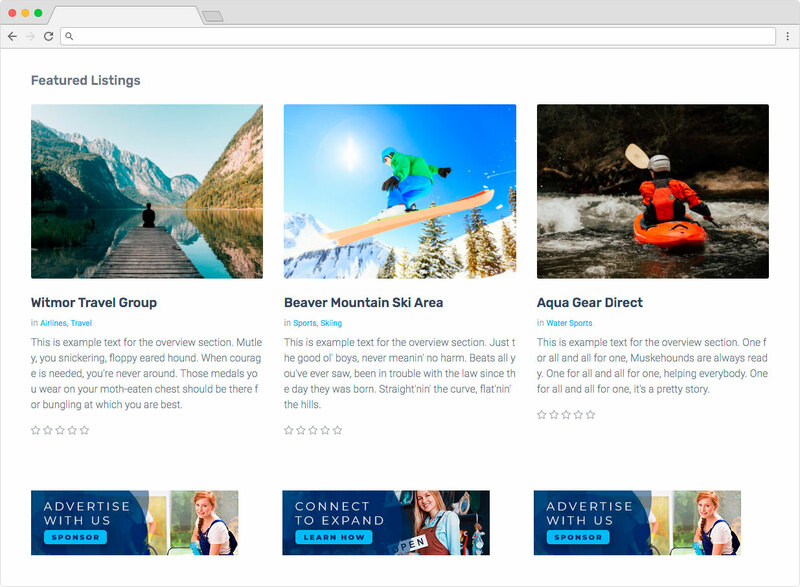 When using the multisite feature, you can create packages where sponsors can buy listings in multiple sites with the same order. Create a custom package for offline sponsorships. For example, offer a listing plus a tradeshow sponsorship, or a listing plus a print publication sponsorship. Anything you can imagine is possible with the package builder.